DeMarcus Cousins left Game 2 of the Warriors' first-round NBA playoff series against the Clippers with a thigh injury. An MRI exam Tuesday showed he suffered a torn left quadriceps, The Athletic reported. The Warriors fear he will miss the rest of the postseason, but are holding out slim hope he may be able to return for the NBA Finals, according to Yahoo Sports. There's a couple of assumptions to unpack there: First, that Cousins could return from a torn quad, and, second, that the Warriors can maneuver through a loaded Western Conference with a center-by-committee approach. 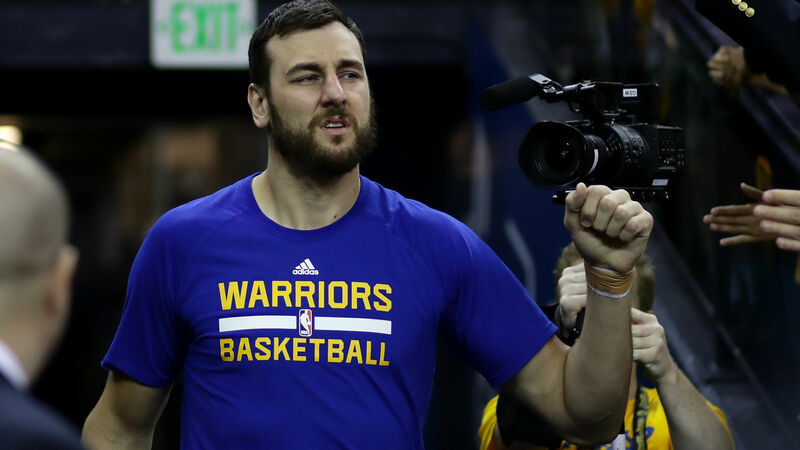 Bogut, 34, averaged 11.4 points, 11.6 rebounds, 3.4 assists and 2.7 blocked shots in Australia's NBL, to earn MVP and Defensive Player of the Year honors, before rejoining the Warriors last month. In 16 1/2 minutes Monday (Cousins went out in the first quarter), Bogut had nine rebounds but only three points. “Yeah, obviously there will be more minutes,” Bogut said (via the San Francisco Chronicle). “It’ll still be matchup-dependent, but I anticipate probably starting games, playing the first (handful of) minutes and then coming out." As the Clippers push tempo with drive-and-dish Montrezl Harrell and pick-and-roll partner Lou Williams off the bench, Looney is the next player in line at center. The good news: Typically a key only on defense, he has been one of the most effective players in the series. He had a career-best 19 points on 6-of-6 shooting from the field and 7-of-8 free-throw shooting Monday, this only a game after posting a remarkable plus-30 plus-minus rating in 17 minutes of Game 1. Instead of being a forgotten fifth option on the offensive end Monday, he was actively looking for his shot in Cousins' absence. “I’ll probably get a little more time, but I’ll just bring the energy and try to be a little more aggressive when I get the ball down in the paint,” Looney said. "(Cousins) is a force down in the paint, and I’ll just keep going with what I’ve been doing and things will work out for me." Jordan Bell managed to get yelled at by two teammates in only 3 1/2 minutes Monday, so he's not a trusted option. Damian Jones is still recovering from pectoral surgery, so that leaves ... Green. As the Chronicle notes, he thrives in a back-row defensive role and in the ensuing increased tempo of the game when the Warriors go small. But … Green is not the low-post scorer Cousins is and Looney has looked like. Green didn't talk to reporters after the Game 2 debacle, but teammates who did know two things: It will be a mix-and-match effort in the middle moving forward, not just in this series but also beyond if the Warriors advance. "We’ll miss (Cousins’) low-post dominance, of course,” guard Klay Thompson said. “We’ll miss his screen setting and his energy out there. I’m hoping for a speedy recovery, because we really need him, if we want to make this run."